Each year the Beach Club Resort at WDW has a Lobby Display Carousel of 4 Horses decorated in Christmas finery. 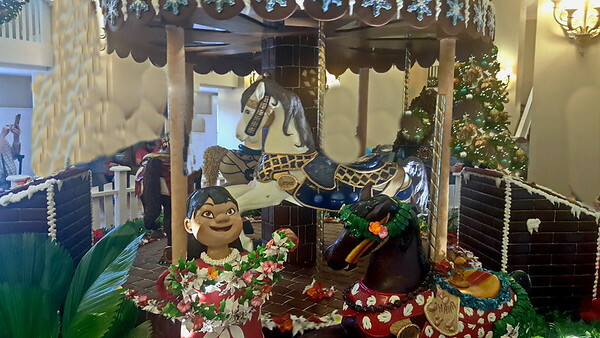 The horses are sculpted out of Bakers Chocolate which retains its shape throughout the Holiday. It is one of the highlights of of ourseason.